ACT vs. SAT: Which Test is Better for You? 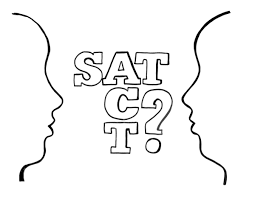 Finally, it’s period to ask yourself: which test is better for you — the ACT or SAT? Following three ways to help you make your choice. The best way to choose is to actually take each test and then compare your scores. The coolest way to compare your scores is to convert your total ACT test score to a total SAT test score using our handy conversion system. Any test you scored higher on is the one you should ultimately prep for and use for college admissions. I am decent at solving math problems without a calculator. Science is not my strength. It’s easier for me to study something than to explain my opinion. I usually do well on math tests. I can’t memory math formulas easily. Tight time restrictions stress me out. I can easily find evidence to support my answers. Chronologically arranged questions are easier to track. If mostly agrees then SAT is your match, if mostly disagrees then ACT’s the one for you, otherwise either test will work.